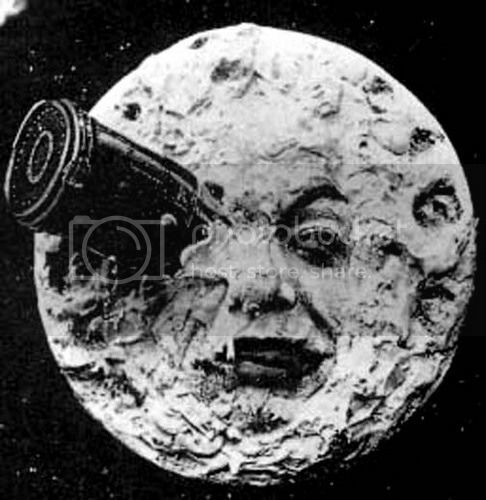 Le Voyage Dans la Lune, (A Trip To The Moon), released in 1902, is widely considered to be the first sci-fi film ever made. We've come a long way since then! I was recently watching Wall Street: Money Never Sleeps, the sequel to the Oscar-winning 1987 financial cautionary tale. In the middle of a movie that had nothing to do with science, the lead character started explaining the financial investment potential of a national research facility loosely based on the ultra-exclusive National Ignition Facility in Livermore, CA (which ScriptPhD.com was fortunate to visit and profile recently). The film did such an impressive job of explaining the laser technology being used in real life to harness endless quantities of energy from a molecular fusion reaction that it could have easily been lifted from a physics textbook. Translating, explaining and visually presenting complex science on film is not an easy task. It got us to thinking about some of the greatest science and technology moments of all time in film. In no particular order, with the help of our readers and fans, here are ScriptPhD.com’s choices for the Top 10 gamechangers of science and/or technology cinematic content that was either revolutionary for its time, was smartly conceived and cinematically executed, or has bared relevance to later research advances. 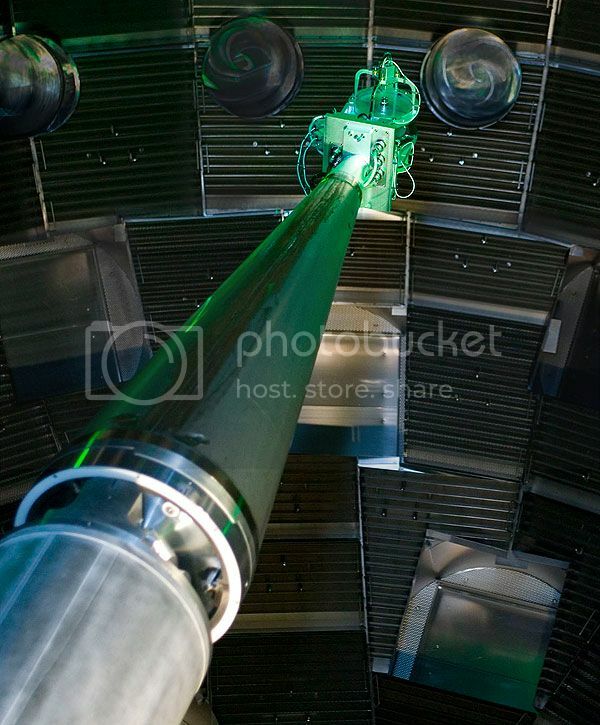 A giant laser chamber being attended to by a scientist at Livermore's National Ignition Facility. You can always tell you’ve gone too far when you reach the wind farms. They populate the barren wastes of California’s northern interior, rows of them spinning atop camel-haired hills starved of moisture to slake the thirst of the Los Angeles glitterati. These motionless pinwheels are an ironic green afterthought to the ecological disaster that embraces the Interstate-5 freeway: now that we’ve created the dust bowl we may as well use the wind to power our air filters. There’s more than wind and dust out here. This is where they put the kinds of facilities the government doesn’t want people snooping around in. Lawrence Livermore National Laboratory is one of them—a secretive development center for our nation’s nuclear arsenal during the Cold War. Here in Livermore, the world’s finest physicists are on the verge of a breakthrough that could power entire cities on a bathtub full of water. The National Ignition Facility, also known as the world’s largest laser, is on the cusp of achieving the first break-even nuclear fusion reaction. NIF is the U.S. Department of Energy’s Sagrada Familia. If successful, the four billion dollar facility will be the first ever to demonstrate Ignition: a fusion reaction that releases more energy than was put into it. The energy, national security, economic and environmental ramifications for the United States, if not the world, would be staggering. ScriptPhD.com’s Stephen Compson gained ultra-exclusive access to the normally reclusive facility, including tours, interviews, and a peek at the lasers that could hold the key to the United States’s global rebirth. With nuclear fusion on the brink of break-even, Stephen recounts we tour the world’s next scientific revolution.